I recently ran out of two of the three medications and herbal supplements I regularly take for emotional health and thought, for some reason, I could manage without them. To refill them takes phone calls and a long drive, after all. And how come they didn’t just come with the automatic refill in the mail like they’re supposed to? Oh well. I’m fine. It’s not worth the effort to refill them, I thought. Which could easily be translated to I’m not worth the effort to refill them. I was doing so well when I let this slip. I wasn’t considering the fact that part of the reason I was doing so well was because I was regularly taking my medications. But after a few weeks, I wasn’t doing fine. Daydreams of quitting my job and moving to an unknown town began to surface. Family gatherings began to feel really stressful and hard. I broke down in tears when a simple phone call dropped after I had been on hold for ten minutes. I started having to hide in my bedroom when dinner conversations got too lively. Call me Miss Self-Aware (or not), because it took a few weeks for me to realize that the weight I was struggling under wasn’t due to a fissure in my character; it was a reaction to my decision to suddenly stop taking medications that I needed. I thought I could easily press on without them. Surprise! I cannot. Not yet anyway. Jesus had to intervene on my behalf with a merciful reminder that I had to tend to my needs. Once I realized this and got all I needed refilled, I hoped I could get back to my normal self within a week. Everyone around me hoped so too. When my brain chemistry is not functioning as it is meant to, holding on to the reality that joy is my birthright becomes hard. It can feel audacious, ridiculous even, to grip firmly onto our right to defiant joy when we are living under an emotional or physical struggle or come up hard against a painful reality of life. I was with a woman recently whose husband had left her the week before. She had a disability that had progressed to the point that she was now completely confined to a wheelchair. She was totally dependent on others’ care, and her husband had been overcome by the pressure. Their marriage was a submarine with unseen fractures, and the pain had brought them far down into deep waters. The small cracks had expanded, the fault lines were exposed, and the relationship had exploded. He moved out. This woman’s body had been racked by pain for a long time, her heart for even longer. Her marriage had shattered into pieces many years before her husband called it quits. They had become mean to each other. Cruel even. And they had been for almost a decade. The wonderful truth we can cling to, though, is that darkness does not have to have the final word. This is where defiant joy comes in. Joy is light. Joy is conceived in faith and gives birth to hope, not to despair. It could not be more opposite to death and darkness. 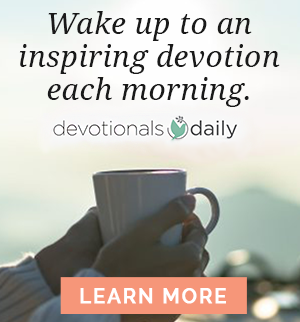 This woman’s story is an extreme one — one that called for the intervention of Jesus, as well as people trained to help her overcome such dire pain. And her story is not over yet. Far from it. She may not have had hope, but I have it for her. Not because I know her to be a resilient woman, but because I know a God for whom nothing is impossible (Luke 18:27). He can turn ashes into beauty. He can transform despair into hope-filled praise. He can call the dead and decaying places in us into fruitful life. It is what He loves to do. He can reach her. He can reach me. He can reach you. He is the God who intervenes. He is the God who interrupts. 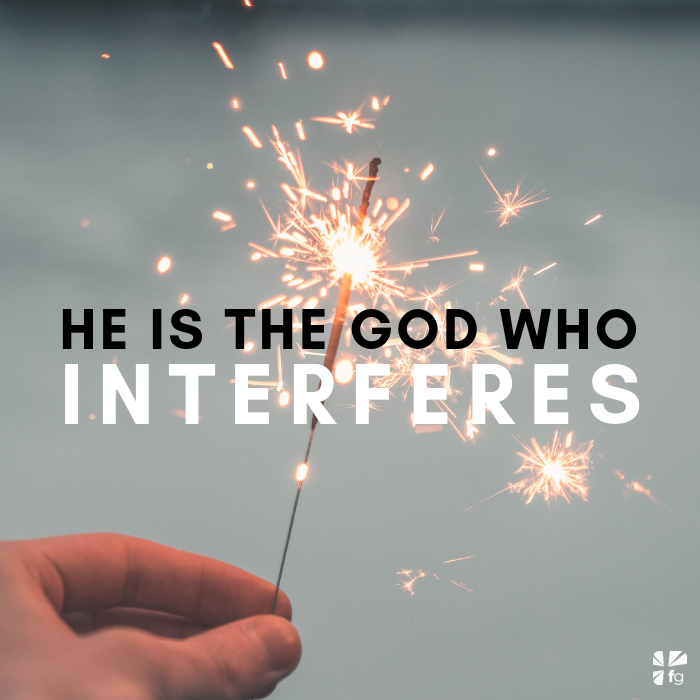 He is the God who interferes. He interfered with me through an emotional crash. He is interfering with her through a crucible of desperate proportions. We need Him to interfere with all of us through every and any means available to Him. I love the story of a certain man whom Jesus interfered with, much to his initial chagrin. Remember when Jesus met the man possessed with many demons in Luke 8? Huh. We all know he wasn’t fine. His life had not been his own for quite some time. In fact, it wasn’t him at all who was shouting at Jesus to go away but the inner tormenting demons compelled by fear. And Jesus, mighty Love incarnate, refused to leave. Instead He interfered; He intervened. 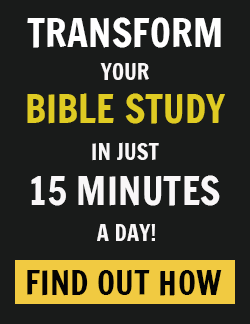 Jesus crossed the Sea of Galilee, all sixty-four square miles, to get to this one man. And He has crossed galaxies and heavenly realms to get to you. He passed through unimaginable opposition and endured unfathomable suffering to get to you. To mess with you. He has come, and He is coming still. To save us. To heal us. To help us. To love us. To guide and comfort us. And to interfere with our lives — particularly in the places we do not want Him to. Yes, it can be uncomfortable, but remember who Jesus is. He has the right to interfere. Jesus asks us to look at things. He asks us to reengage with people and passions in the places that we have been hurt or have given up. He asks us to let some things go. He asks us to pick some things up. He asks us to repent. He asks us to obey. He messes with our style of relating. He messes with our choices of books and movies and even the jokes we make. He interferes with us in the places we have hidden, in the places of safety and soothing. And He calls us out. He’s been interfering with me. Has He been interfering with you? The man possessed by many demons asked Jesus, “Why are You interfering with me?” You know the answer. It’s the same one He has for you. Because He loved him. And He loves you. If you’re struggling with finding the answers to these questions, try thinking about it this way: Where do you ache? Where do you hurt? Where do you feel conflicted? What are you longing for? What have you been called to that has felt thwarted? Where have you felt diminished? It’s important that we recognize and name what we have been living with — and under. That we hold our lives before God and ask for His revelation of where we need a deep and true repentance. Perhaps the place where fear has taken hold. Or shame. Shame over the way we feel or how we’re living, or shame over our past mistakes and our present ones. Whatever it is inside our hearts that needs a work of God, Jesus has come and is coming even now to get to that part of you. He’s coming for the places you have tried, for a multitude of reasons, to bury. He is coming to prompt you into knowing that your true identity and your value as a person come from your position in His heart as His beloved child. And He is interfering with your life so that you will live it more fully with and in Him. But first we must let Him in. Excerpted with permission from Defiant Joy by Stasi Eldredge, copyright Stasi Eldredge. A teacher and conference speaker, Stasi Eldredge leads the women’s ministry of Ransomed Heart, a ministry devoted to helping people discover the heart of God. She is the coauthor of Captivating and Love & War with her husband, John. Her books have sold nearly 3 million copies. Stasi loves the joy and freedom that come from knowing Jesus and longs to see others come to know him more deeply. She also loves getting lost in a good novel; walking in the woods near her home in Colorado Springs; and sharing life with her family, her friends, and her God.